Yes, I am crazy. I admit it. I’m making sorbet in the fall. This recipe should have been made in the summer, but it never occurred to me that I eat more ice cream, sorbet, and frozen yogurt in the colder months of the year. Maybe I am just weird like that, or it’s just because I love my frozen treats. Whatever it is, I love strawberry sorbet! Heck, in our household, summer is practically all year long (regardless of the weather outside)! It can be below zero and guess what? We’re eating ice cream or other frozen confections. It’s not exactly below zero, or even close to it, but it has been rather chilly outside and I did have some free time about a week or so ago. I went to our local supermarket and was surprised by how fresh and good-looking the strawberries were. The biggest thing that made me get the strawberries was that they were on sale… What would I do without things being on sale? After thinking about what to make with the strawberries, I decided that I needed to make sorbet. 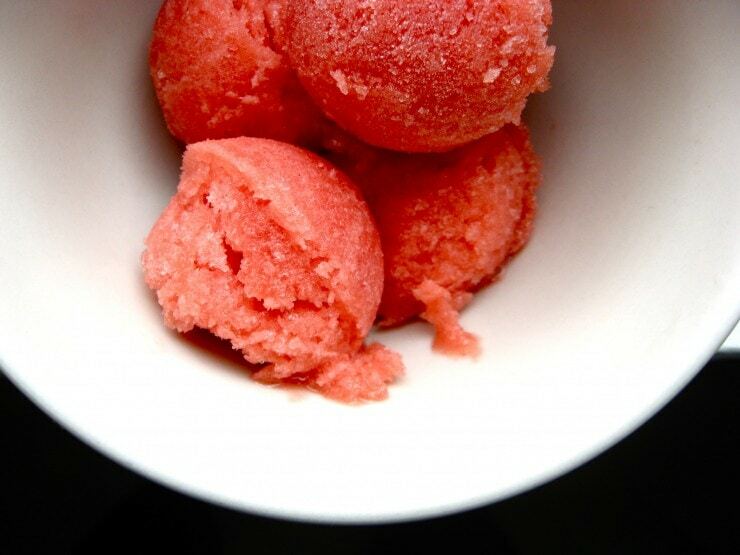 Sorbet is probably one of the easiest things to make, and it is simply delicious. Of course, I took another challenge and decided to keep that ice cream maker in it’s place. Yes, this is another recipe without an ice cream maker required (but I have included directions if you do decide to make this in your ice cream maker)! 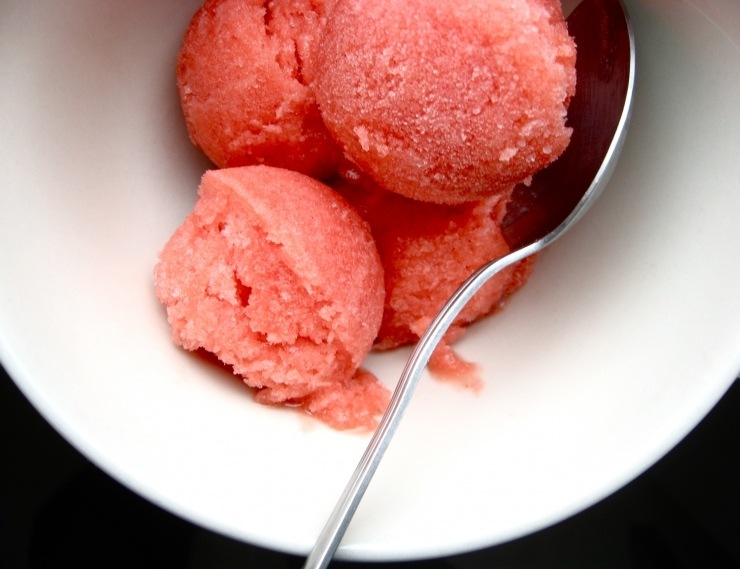 Sure, an ice cream maker would make this recipe nice and smooth, but for those of you who would rather not make this in an ice cream maker (or if you simply do not have one)- I’ve got an amazing strawberry sorbet recipe for you! 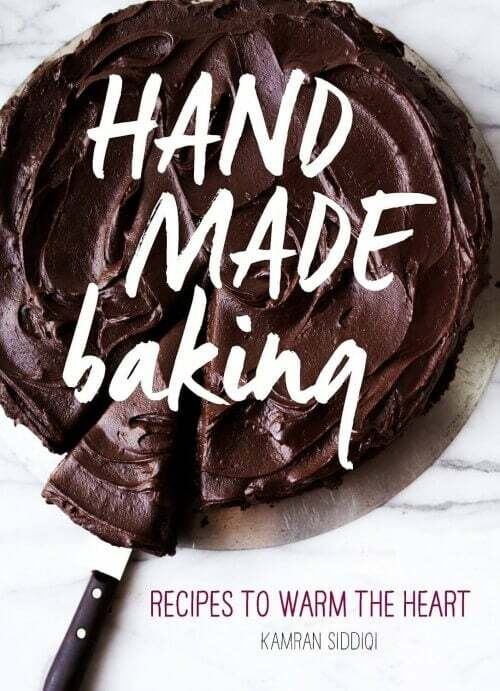 It is relatively one of the easiest things to make and doesn’t require much effort at all for something simply irresistible. I managed to find fresh strawberries on sale at my local supermarket. I know, shame on me for not buying in season, but these were some awesome-looking strawberries (and they were on sale)! Stir 2 cups water and sugar in heavy medium saucepan over high heat until the sugar dissolves. Boil 5 minutes. 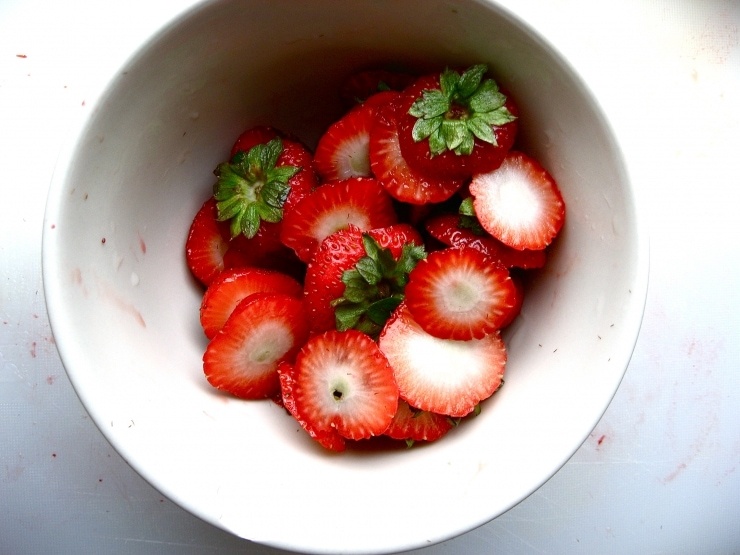 Working in batches, puree the de-stemmed strawberries in food processor / blender until smooth. Add strawberry puree, orange and lemon juices to sugar syrup; stir to blend. Process strawberry purree mixture through a sieve. Cover and refrigerate until cold, about 2 hours. the site looks great, kamran! nice sorbet! I’m going to prepare some for Christmas with tomatoes and pink grapefruit. hi awesome recipe, i am surely try this one out. but will hv to chk out my local supermarket for fresh strawberries. Nywayz your pics posted are really very clear and fresh.. it seems that the fruit is out there itself… which camera you use dear..?